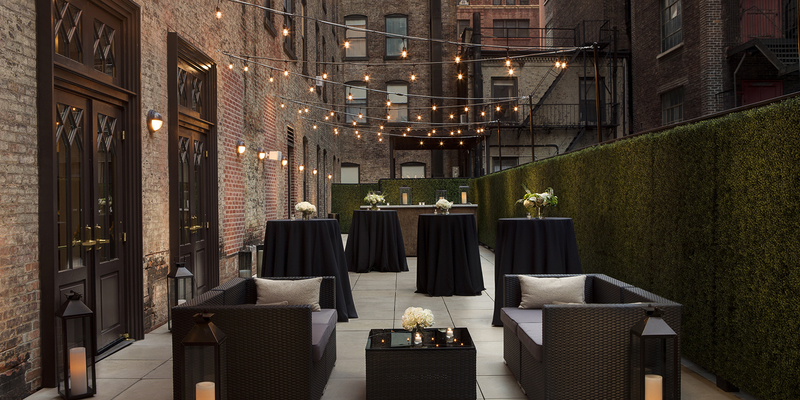 Centrally located in Manhattan’s NoMad neighborhood, The Redbury New York + Marta Manhattan are the ideal destination for your next meeting, gala, wedding, or private event. 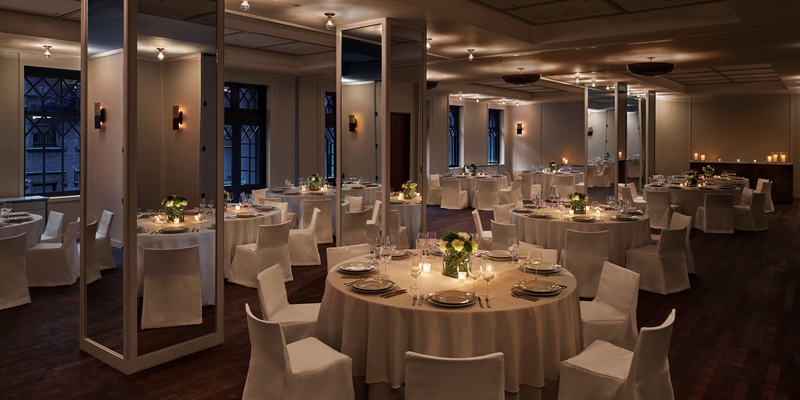 The hotel and restaurants offers over 7,000 square feet of indoor and outdoor meeting, event and private dining space, equipped with state-of-the-art audio-visual technology. 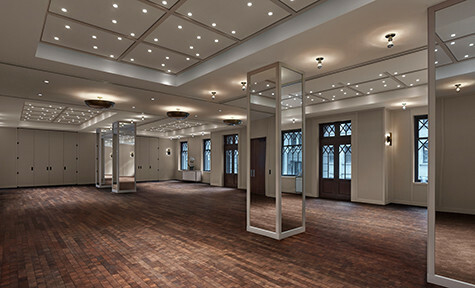 The second floor multi-functional space includes a Gallery framed by dramatic windows, Juliet balconies, and a scenic outdoor terrace, all of which can be converted to meet your events needs. And because no excellent event is complete without excellent food, we have partnered with Danny Meyers’ renowned Union Square Hospitality Group to offer in-house events catering and custom-menu packages from Marta. 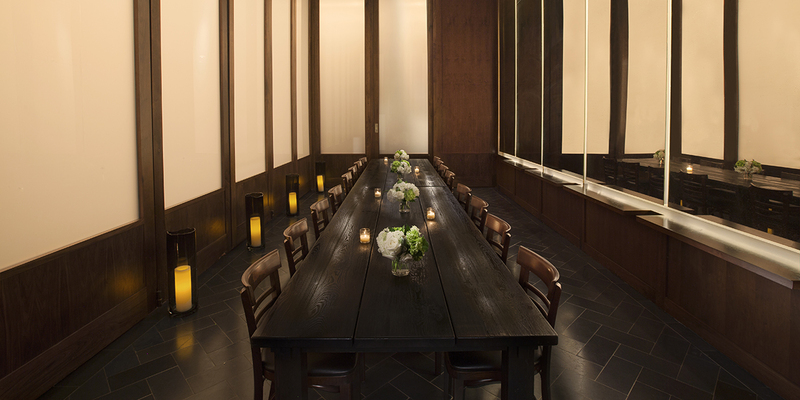 Please visit MartaManhattan.com for more information on private dining and events at Marta. Please complete the form below to submit your request for proposal. For immediate assistance, please contact: elandau@ushgnyc.com. 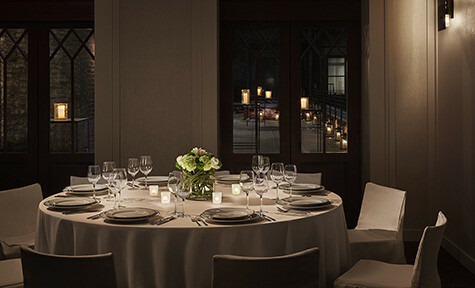 The Redbury New York offers three elegant spaces for events, receptions, and corporate meetings in one of New York’s finest historical landmark buildings. Take a virtual tour of The Redbury. 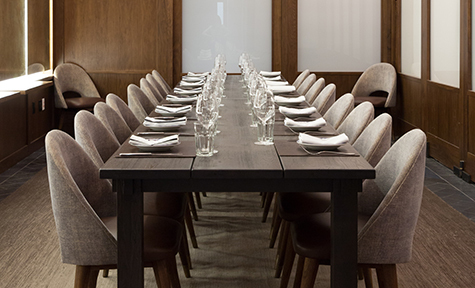 Marta’s private dining room is the perfect space for all occasions, from business meetings to celebratory dinners. The room offers state-of-the-art A/V equipment and can accommodate a maximum of 18 guests seated. 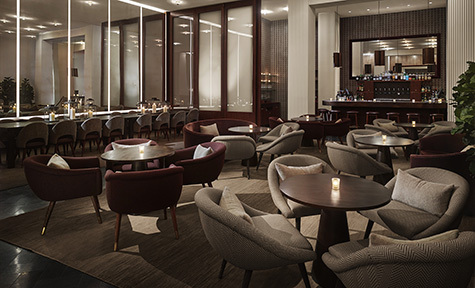 Located adjacent to Marta in the Redbury’s cozy lobby, Bar Marta is available for standing receptions of up to 75 guests or seated dinners for up to 60 guests. 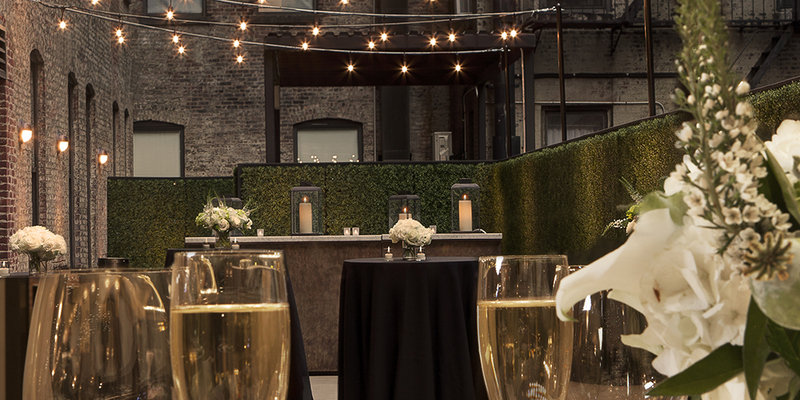 Featuring a 10 seat full service bar exclusive to your event, the space is fully private for you and your guests. 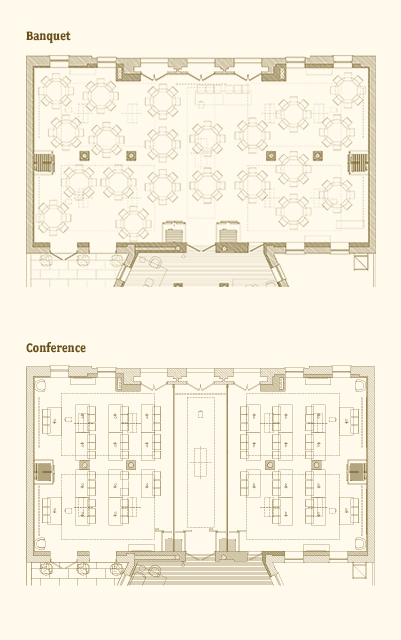 Seating is fully customizable from lounge-style options to seated dining events for both lunch and dinner. Marta is available for full restaurant buyouts of up to 130 people for a seated event, and up to 200 for a cocktail reception. The experience is customizable to your group’s needs, and can include a Sommelier station, custom cocktails, hors d’oeuvres, and food from our wood-burning pizza ovens and open-fire grill. Please inquire with our team for pricing and menu details. Overlooking the main dining room, the semi-private mezzanine is a wonderful way to be a part of the lively energy of Marta in an elevated space exclusive to your group. In the evenings we offer a cocktail party format including stationary hors d’oeuvres as well as pizza and a satellite bar with selections of your choosing for up to 35 guests. For lunch reservations the space can accommodate up to 26 guests seated and up to 35 guests for a cocktail-style reception. Our Gallery is perfect for large events like galas and weddings, and it can be conveniently subdivided into smaller meeting rooms for seminars, conferences, and corporate retreats. Sun streams in through the dramatic windows during the day, and in the evening, guests can wander out onto the Juliet balconies and terrace for fresh air and an urban New York City view. A warm welcome is one of trademarks of a good host. Our 625 square foot Living Room allows you to receive your guests in an open, elegant space before you invite them into the Gallery for the main event. 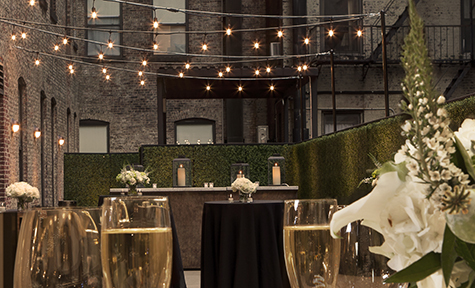 The terrace is the perfect place for an outdoor private event, or as an addition to the ballroom for a larger one. 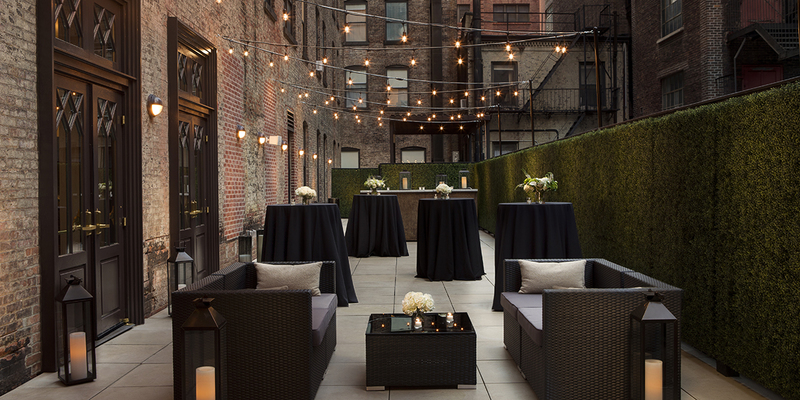 It’s an ideal setting for a spring or summer cocktail party, for example, and gala or wedding guests can gather on it for intimate conversations, a bit of fresh air, and an urban New York City view. A warm welcome is one trademark of a good host. Our 625 square foot Living Room allows you to receive your guests in an open, elegant space before you invite them into the ballroom for the main event. 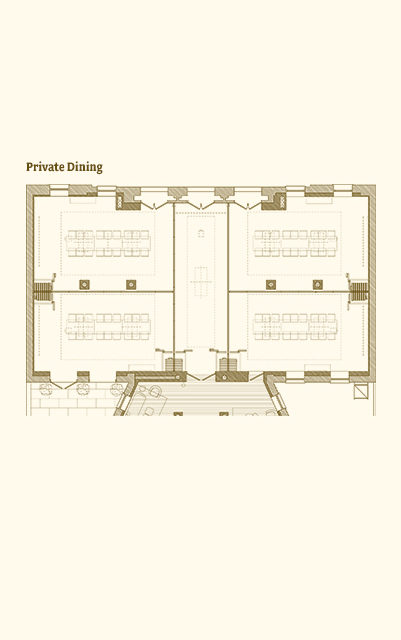 If you’re hosting a cocktail party, dinner party, or a board meeting, the private dining room is the space for you. 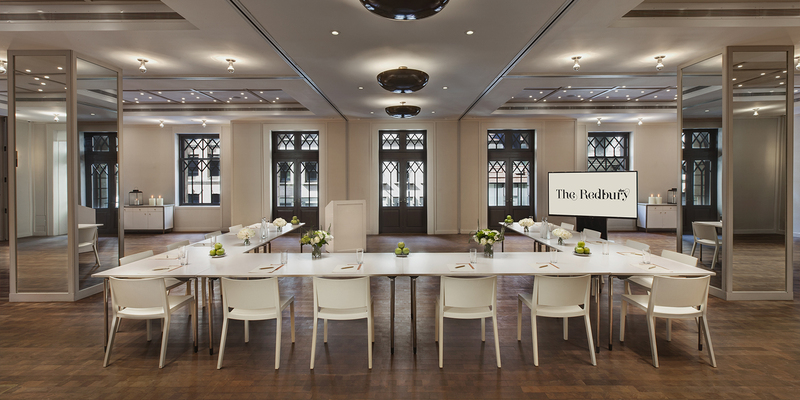 Bathed in warm light, it is both intimate and elegant, and it is equipped with state-of-the-art audio-visual equipment for presentations and slideshows. 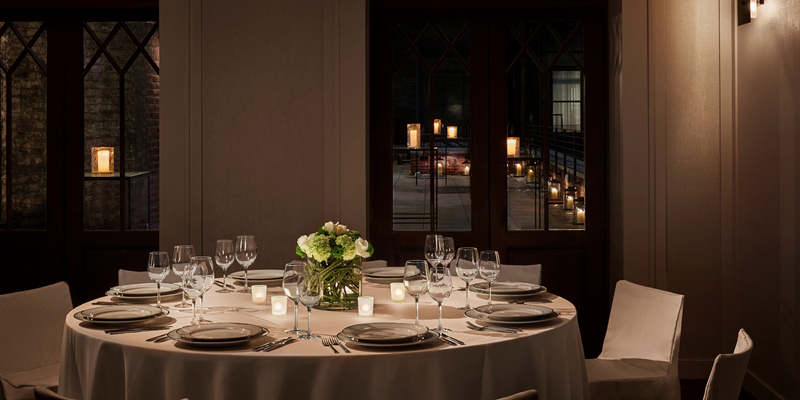 For more information on MARTA private dining, please contact Samantha Lewis at slewis@ushg.com.